Why should anybody oppose public spending cuts, and how? Naturally, nobody welcomes having services they benefit from taken away. The bulk of public spending, about 63% of the total, goes on health, education, pensions and social security. Everybody at some time in their lives will benefit from these services. The problem is that the current level of government spending can only be sustained either by borrowing more money or increasing taxation. Given the way that financial markets work, looked at in this way it is quite a plausible scenario. So how should we think about what will be in effect an austerity budget that George Osborne , the Chancellor of the Exchequer, will be producing in a few weeks time? We could all simply take the view that we do not want our public services to be reduced at all. It would certainly be a good thing if there was a more general opposition to austerity measures, to any attempt to take this country backwards in terms of the quality of life. However, in the absence of an intellectual case against the cuts, any such anti-cuts campaign will almost inevitably take the form of special case arguments, as has happened many times in the past. This can take many forms. 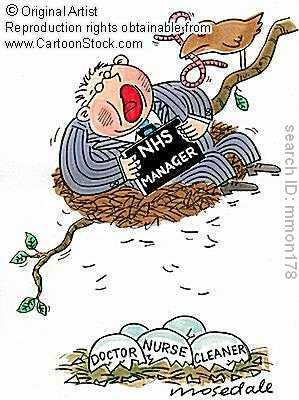 A popular one is that management should be cut, not ‘shop floor’ workers. Another is that this or that other part of the state, usually defence or the civil service, should take the brunt of the cuts, rather than health, education or welfare. This approach does not oppose public spending cuts per se, but tries to divert them elsewhere. However this pans out, the result is job losses somewhere along the line and a net increase in human misery. So is it possible, or even desirable,in the light of the undoubted economic problems facing this country, to make a case against public spending cuts per se? Before we begin to answer this it is important to grasp one vital truth about public spending. All of it is financed out of the proceeds from private business, whether industry or services, through corporate or individual taxation. If these parts of the economy are struggling, as they are today, then the proceeds from taxation will stagnate. The current severe deficit problem was created because tax revenues fell in the past few years, not because public spending rose. While increased borrowing can make up for this increased deficit for a while, eventually the borrowing becomes too much and we are back in the Greece scenario. So the real question about defending public spending is how to regenerate and revitalise the productive parts of the economy to the point where increased revenue from taxation, and therefore more public spending money, becomes plausible. That is why the most effective way of opposing public spending cuts is to argue for policies which encourage faster economic growth. Here is where we begin to part company with the government concensus about austerity. A key element of pursuing faster economic growth is for the state to invest more public money in science and technology education, in the encouragement of research and innovation and in new infrastructure. This approach would involve some reorganisation and reprioritisation of public spending, away from consumption and towards investment. Most importantly, the government must generate enthusiasm for a more dynamic economy and society. This would mean challenging the risk averse, pessimistic and therapeutic aspects of British culture. It would mean rejecting the view that economic growth should be green and sustainable, all code words for slow. It would mean restoring the pursuit of excellence as a goal of society and it would aim to bring out the best in people.